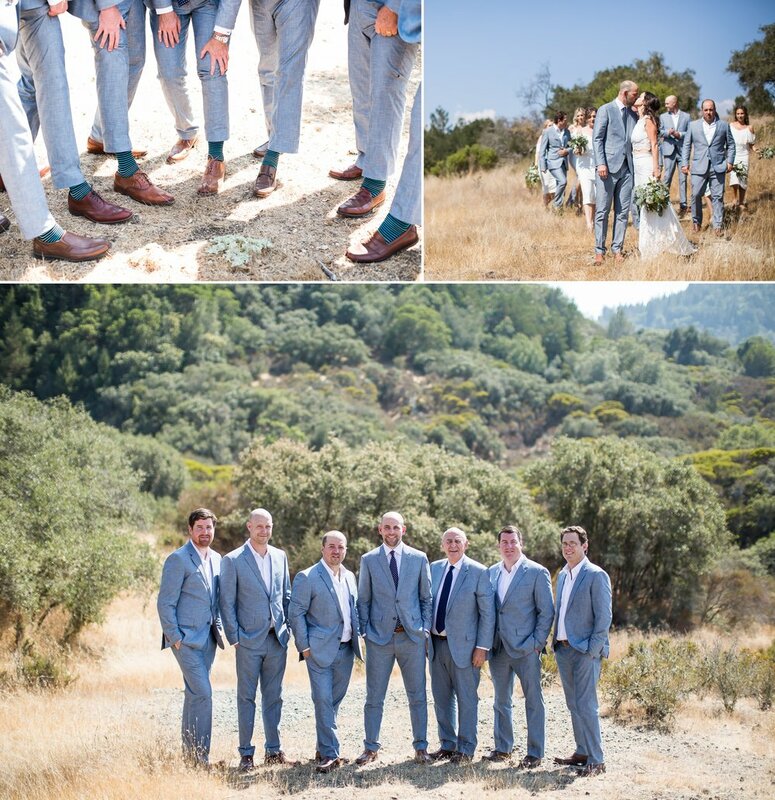 Hannah and Scott got married on 9/9/2017 (which was her parent’s wedding anniversary in 1975) on an incredible 20-acre ranch in the mountains of Calistoga, California called Triple S Ranch. They met in 2013 at Jazz Fest in New Orleans. Hannah was living in San Francisco and traveled to NOLA with 26 girls for a Jazz Fest bachelorette weekend (she is part of a big community of friends who love music, so many of my other friends from the Bay Area and around the country were also planning to convene in NOLA for the weekend). Scott, who was living in Manhattan at the time, flew down to NOLA that same weekend to hang out with his friends from college, whom coincidentally were all of my best guy friends in San Francisco. Scott and Hannah met, and the end of the weekend he asked for her number, even though they lived on the opposite ends of the country. Scott called and they began talking more and more. Scott would buy Hannah plane tickets to meet him in all areas of the country; Chicago, Vegas, the Hamptons, Colorado. It was a true fairy tale. He sent her flowers almost every other week, surprised her with sweet gifts, and A year and a half later, Scott took a HUGE leap of faith: he quit his job of 10 years and moved away from New York, the only place he had ever lived, to move in with Hannah in San Francisco. According to the couple, the transition was wonderful. The vision for their wedding was always about comfort and community. As the photographer, I could see and feel the connections these two had with their friends and family. They wanted to create a weekend experience where people could really be together, get to know one another, and have it feel casual and relaxed. Triple S Ranch is an updated space, with a rustic feel. Most importantly, it has 13 cabins and a large Victorian house so that 40 of our friends and loved ones stayed on site with us for the weekend. Every time Hannah and I discussed elements of the photography, she emphasized community, family and authentic moments. 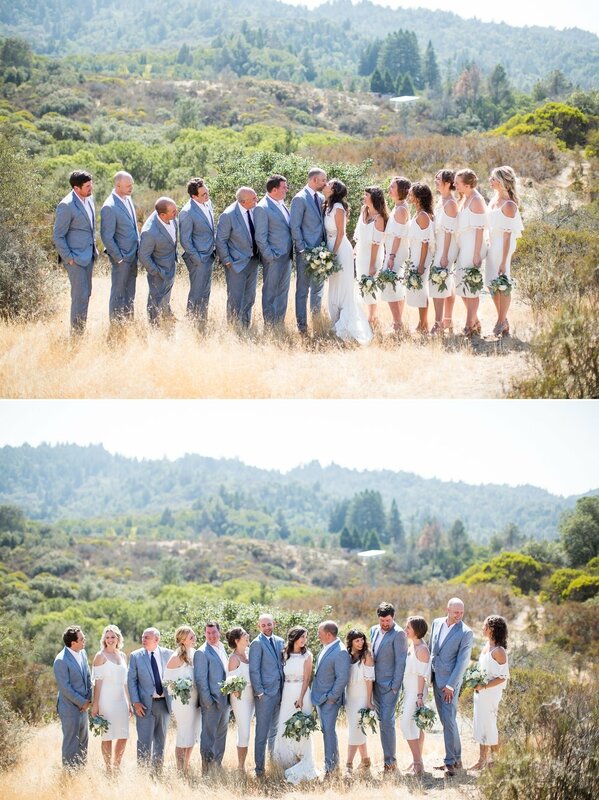 Because of the natural beauty of the mountains and the ranch, they really wanted the venue to speak for itself. They opted to have an abundance of white and natural greenery and wanted it to be bohemian and natural. In keeping with the theme of community, the couple designed their own ceremony and passed around a rock from the beach where they got engaged. They asked every single member of their community to infuse it with their love. As the sun set over the rolling Napa hills, we hopped on a golf cart for a truly epic golden hour session that was one of the most romantic and beautiful photo-sessions of my career. 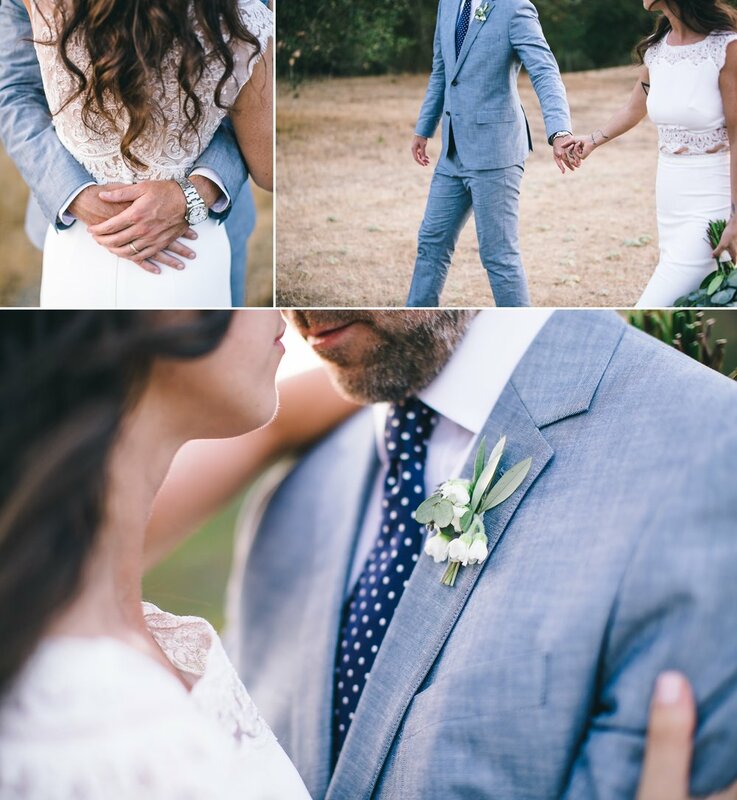 The images and details speak for themselves, this wedding was something unique and very special. “There is a redwood tree on the property that we made into our “Family Tree” but hanging a handmade sign, and then hanging framed photos of all of our extended family and ancestors. We made signs and had seats reserved for both of our mothers who are deceased and couldn’t be physically present with us. I made little pouches of lavender (which is special to me- my mother loved lavender and I have tattoos of lavender sprigs on my wrists) to throw after the ceremony. We made cozies for all the guests to put their beers in and left little gifts in everyone’s cabin. We had an unplugged ceremony. o SHOES + JEWELRY: Dansko!